Real estate seller leads represent a very important commodity for today’s investors; they are one of the few tangible indicators that can actually identify the future prospects of a business. Seller leads for real estate investors are, after all, the first step in a system designed to acquire a deal. The better the leads, the greater your chances are at realizing success — it’s as simple as that. If for nothing else, investing in real estate is a numbers game: the more real estate seller leads an investors has, the more likely they are to land their next deal. If you intend to make the most out of your real estate seller leads, you must mind due diligence. Not only must you know what they are, but you need to know how to acquire them and — more importantly — how to nurture them. If that sounds like something you are interested in, look no further. The following guide is designed to teach you everything you need to know about these invaluable commodities. What Are Seller Leads For Real Estate Investors? In their simplest form, real estate seller leads are prospective homeowners that represent an opportunity for investors to acquire a deal from. In other words, they are just as their name would suggest: leads indicating the potential sale of a property. Seller leads are, therefore, sellers that have shown interest (on any level, big or small) in selling their property. Anyone that has thought about, is currently thinking about it, or might think about selling their property in the future should be categorized as a real estate lead. It is worth noting, however, that not all sellers realize they would stand to benefit from the sale of their home, so it is possible that a lead has never thought about selling their home. That said, I maintain everyone is a potential lead; you will never know until you ask, right? Of course, the prospect of someone selling their home isn’t enough to benefit today’s real estate investors. Entrepreneurs within the real estate industry need a way to not only identify seller leads, but capture them as well. Therein lies the secret of becoming a truly great investor: demonstrating the ability to simultaneously identify and capture the attention of those individuals looking to sell their properties. Though they may sound quite similar, there’s a significant difference between real estate buyer vs. seller leads. As I already alluded to, seller leads are essentially potential home owners that represent an opportunity for investors to acquire a deal from. It is, therefore, in the best interest of real estate investors to capture seller leads when they are looking to acquire a deal, as seller leads represent sellers that could potentially part ways with their property. Quite simply, investors market for seller leads when they need a deal. Buyer leads, on the other hand, represent an opportunity for real estate investors to find people that are interested in buying a home. In other words, they are looking for someone to buy they property they are trying to flip; hence the name buyer lead. The two may sound similar on the surface, but they are dramatically different. For example, while an investor should always be marketing for leads, they will typically market for seller leads when they want to find a deal, and they will market for buyer leads when they want to sell a deal. As a result, the marketing used for each is founded on unique strategies, and subject to the investor’s intentions at the time. Driving For Dollars: Just as the name would lead you to believe, this strategy will literally have you drive neighborhoods, all the while keeping an eye out for the telltale signs of a distressed property; namely unkempt yards, signs of neglect and abandonment, and mismanagement. The idea here is to identify properties homeowners have otherwise forgotten about or would rather not address. Signs of neglect may as well be tangible evidence of a home owner’s willingness to sell a property. In identifying these homes, you now have a point of contact (an address) to target in a marketing campaign. Direct Mail Campaign: A proper direct mail campaign will have investors send specific pieces of mail to a targeted list. A common direct mail campaign, for example, will have an investor acquire a list of local foreclosures and craft letters specifically designed to speak to homeowners in the midst of a foreclosure. That way, investors can offer their services to distressed homeowners in return for leads. Networking: Sometimes generating real estate seller leads is as simple as talking to people within your own network. Again, you’ll never know until you ask. Speak with local real estate professionals, attorneys, or anyone with an ear to the real estate ground. You are bound to find someone that has insight on a deal at some point or another. Remember, investing in real estate has as much to do with who you know as what you know. Bandit Signs: Bandit signs are nothing more than small billboards placed in strategic areas to notify the people in a community that you are looking to buy a home. It is worth noting, however, that bandit signs are not legal in all municipalities, so familiarize yourself with local laws before you implement your own bandit sign campaign. When done correctly and legally, bandit signs are a great way to attract real estate seller leads. Generating real estate seller leads is more about the sum of all the parts, as opposed to exercising one specific strategy. In other words, the more strategies you implement to attract real estate seller leads, the better your chances are of finding a deal you can work with. How Do You Convert A Lead Into A Sale? Generating real estate seller leads is one thing; converting them into an actual deal is an entirely different thing. That said, it’s those investors that can turn a lead into a deal that stand to realize the most success, which begs the question: How do you convert a lead into a sale? Offer A Solution: I can’t stress this one enough. As an investor, you must first and foremost offer a solution to homeowners in a predicament. If you can demonstrate the utmost sincerity in helping distressed homeowners, it stands to reason that you’ll be more likely to land a deal. 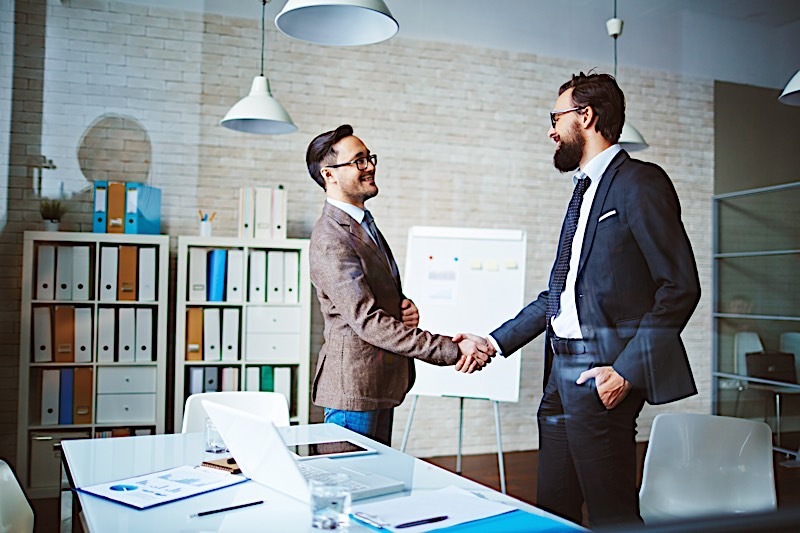 You need to offer something to get a deal in return, and nothing is more convincing than offering a solution to a particular owner’s current situation. At the very least, let them know you are there to help. People are more likely to work with you if you are genuinely interested in helping their cause. Ask: Sometimes, all you have to do is ask. Simple, I know, but nonetheless important. As an investor, you need to be upfront and transparent, so don’t hesitate to ask for their business. If the seller is motivated enough, this simple question could land you your next deal. Again, you’ll never know until you ask. Exercise Empathy: Provided the homeowner is in distress (the majority of leads you are talking to will be), it’s safe to assume they are facing an unpleasant situation. After all, it’s not like home owners try to become delinquent on payments. Chances are they are in a tough situation for reasons out of their control, so the least you can do is exercise empathy. See the scenario from their point of view and offer a helping hand. Determine Motivation: At the same time you are exercising empathy, I highly suggest asking one important question: “Why are you selling the house?” More often than not, they don’t want to sell, but rather need to sell. That said, if you can identify why they have to sell, you can start to formulate a solution. More often than not, it’s said solution that will help you land the deal. There are a number of tricks you can use to convert a lead into a sale, but they will all fall on deaf ears if your actions aren’t sincere. First and foremost, you must identify the specific reason the homeowner needs to sell. After that, it’s all about offering a solution; one that helps both parties. What Is A Good Lead Conversion Rate? I wish I could sit here and tell you a good lead conversion rate was somewhere in the fiftieth percentile, or even the fortieth, but I digress. Anyone who knows anything about marketing understands that a good lead conversion rate is nowhere near fifty percent, or forty percent, or even thirty percent. Quite frankly, a great conversion rate is somewhere in the single digits, with real estate investors loving the idea of converting somewhere in the neighborhood of one to five percent of their leads. It is worth noting, however, that a good conversion rate means something different to each investor. After all, good is a relative term. A good conversion rate should focus more on your return on investment (ROI) than anything else. In other words, are your marketing efforts (and dollars), worth the results they are producing? More often than not, the answer is yes, but you will have to answer that question on your own terms. There is absolutely one thing today’s real estate investors should covet more than almost anything else: motivated real estate seller leads. Motivated real estate seller leads, after all, are those leads industry pundits would deem “hot.” And what is a hot lead, if not for one that is more likely to convert into a deal? At the very least, motivated seller leads are an investor’s best friend. Let me explain. Motivated seller leads, as their names would suggest, represent the most promising leads for real estate investors; they essentially mean a homeowner is highly determined to sell a property. And while the reason for selling may be different for every seller, the goal is universal: sell the property quickly — the four words every real estate investor loves to hear. You see, when a seller is more likely to sell, the scale tips in favor of the investor; they have more leverage in a deal, and it’s that same leverage that will make it easier to get a deal at the price you want. Advice for speaking to seller leads will vary from the utterly useless to the inherently invaluable, but as far as I am concerned, there’s one piece of advice more valuable than any other: genuine sincerity. If for nothing else, sellers will only convert to deals if they choose to work with an investor — nobody is forcing them to sell anything. They may need to sell, but they don’t have to sell to you. That said, you must see eye to eye with the seller and meet them on the same, level playing field. The easiest way to get a seller to want to work with you, after all, is to exercise a sincere willingness to place their needs above your own. If you can honestly and truthfully offer a solution that helps their particular scenario, it stands to reason they will want to work with you. The second you place your own needs ahead of their own, you risk losing out on the deal entirely. So if your priority is to land a new deal, make the owner’s priority your own. If you can truly help them, there’s a better than good chance the deal is yours for the taking. Real estate seller leads are perhaps the most tangible way of deterring an investor’s future prospects for success. Real estate is a numbers game. The more distressed seller leads you have, the better your chances of landing a deal are. Never stop trying to acquire real estate leads, as they have proven to be the life-blood of truly great investors. It’s the leads, after all, that turn into deals.